Burnt Oak Partners (BOP) have been founded in 2007 by Robert Morgan (one of the leaders in Sourcing Management, and also founder of Morgan Chambers in 1997). Today the BOP Team consists of 11 Partners and approx. 50 Associates involved on parttime basis. In the Benelux BOP are based on three Partners and approx. 10 Associates. The BOP teams are built on TRUST, QUALITY, PASSION, EXPERIENCE. We are proud to have some of the best recognised talent in the market. Our consultants have current and hands-on experience working on both the demand and supply side of outsourcing and include experts in sourcing strategy, due diligence, transformation, change management, benefits realisation, risk management, regulation and compliance. We focus on providing the right level of support where the client wants to leverage years of experience and deals done and specialist skills and capabilities required that they are unlikely to have in-house, applying methodologies, techniques and tools where appropriate. We can provide IP and template standards to expedite the process, apply intimate knowledge of outsourcing processes, service providers capabilities/culture/solutions, and industry specific knowledge in relevant IT systems, networks and business processes. We assist in the development of a sourcing strategy, identifying potential cost saving opportunities, and supporting in the execution of sourcing transactions. We help define the business requirements and support the negotiations to obtain optimal commercial arrangements. Our strategic sourcing services are designed to deliver auditable board-sponsored or C-level led change initiatives demanded by enterprises and their shareholders. We support our clients in getting potentially difficult initiatives off the ground by helping to validate business strategy, assessing the various opportunities and options, gathering the facts to support informed decision making, conducting thorough due diligence exercises, and testing the feasibility of a proposed solution in order to develop a true case for change. An initial discovery phase articulates the key strategic business drivers and identifies potential strategic sourcing opportunities that form the basis of the sourcing strategy through activities such as supplier and cost category spend analysis, benchmarking and reviewing sourcing categories, and supplier performance reviews. We deliver a strategic analysis to help define your decision making criteria in the wider context of the key influences and market pressures incumbent on your enterprise. We advise our clients in making the right technology, business process and partner choices. We help them to identify potential functions to be in-sourced, outsourced or off-shored and support them in finding the right suppliers to partner with according to their business drivers, service requirements and company culture. We strive to establish strong and sustainable outsourcing relationships which deliver substantial business benefits. There are a number of ways we can support the supplier selection process, depending on the need and situation of our client. We are extremely flexible in our approach and always aim to reduce complexity, time and costs in the process. Rapid capabilities assessment – Our Rapid Capabilities Assessment approach involves an analysis of target suppliers in the market to assess their capabilities across for example a range of service domains or geographies. Feasibility assessment – Feasibility assessment is Burnt Oak Partner’s proprietary approach designed to create a real business case for change with a very high level of confidence (>95% is usual) to assess the feasibility of change initiatives via a significantly expedited process. . Traditional selection support – Many clients prefer or may be required to adopt the more traditional competitive tendering approach. We ensure that we match the service objectives with the markets capability to supply and the client organisation’s maturity in controlling external supply regimes. Managing change is a complex and multi-faceted process which requires careful planning and implementation and affects numerous business stakeholders. We support our clients to ensure that the transition of service and transformation of processes and systems to suppliers is as seamless as possible, and with minimal disruption to the core business activities. We undertake a series of activities that supports both the pre-service transition and transformation planning, and the actual process of transition of services to the supplier through a carefully managed program. Our practitioners have overseen and successfully delivered multiple, highly complex transition and transformation programs, applying their intimate knowledge of the key processes and considerations that large scale change demands. Service Integration and Governance implementation. Burnt Oak Partners provides a multi-faceted approach to the successful management of services, whether sourced internally or externally. Service integration and governance implemented well assures that the expected benefits that drove the initial business case are actually realized, and where strategy changes or is affected by other external factors, we will be there to ensure the delivery of service under the contract is constantly realigned to the shifting requirements of the client’s business. Our approach is both pragmatic and hands on and is designed to work seamlessly alongside the client and supplier relationship. It incorporates the following six key elements which guarantee a higher level of assurance over service value, business benefits realisation and a successful outsourcing result. Contract Management – Burnt Oak Partners will provide the oversight, support, tracking and management that is required to ensure that the duties of both parties to the contract are adhered to, and thereby provide assurance in transition of services, service delivery and execution. Innovation Management – Burnt Oak Partners firmly believes in recognizing innovation as an essential function within the business and therefore provides a formally managed process by which new ideas both from within the organization itself and the service provider can be presented and matched to the changing requirements and drivers of the business. We view innovation across all of the technological, process and business dimensions, so our Innovation Management Methodology incorporates all aspects. Communications Management – It is essential that the end client and service provider agree a systematic approach to communications, which provides simple, clear and consistent messages to all internal and external stakeholders and has overt executive sponsorship. The carefully constructed communications program contains behaviors and expectations, reduces risk of misunderstandings and misquoting, and operates from standard Q&A responses and information repositories. Programme Governance, Risk Management and Reporting – Good governance starts at the top, so it is firstly paramount that there is transparent decision making and clearly defined responsibilities and accountability at the executive and board levels. Secondly, any program of activity requires its own governance principles such as executive sponsorship, support and oversight; a well-defined plan with achievable milestones; clear roles and responsibilities, and accountability for deliverables, communications and reporting; an understood method for implementing the program; and a risk management strategy.Burnt Oak Partners’ model for program governance, risk management and reporting incorporates all of these key principles to ensure that the program starts with all the tenets necessary for a successful outcome. Benefits Realisation Management – Our approach to Benefits Realisation Management (BRM) starts right up front in the strategy and planning phase to deliver the financial and business benefits that justified the case for change at the outset, but can of course be applied at any point in the transaction. BRM will help you identify your business drivers and develop your business objectives, increase stakeholder engagement through fostering common understanding and commitment, help formulate the case for change, reduce program risks of disengagement or bad decision making by focusing on the end goals, provide a clear means by which business benefits can be measured, reported and success demonstrated, and ultimately facilitate contract management. Executive support and coaching – We provide commercial and highly focused executive level coaching and support across a number of different areas through ongoing Executive-to-Executive sessions. This support program is designed to ensure continued sponsorship and engagement at the executive level and provide assurance to top management and key stakeholders of successful implementation and delivery. Contract health check – is specifically designed to provide a rapid fact based assessment of your contract against market best practice. Direct comparison with Burnt Oak Partners’ model contract and schedules, developed from years of distilled experience highlights all risks, opportunities and weaknesses. Service audit – Service deterioration or the business users’ perception of poor service requires rapid action to address and rectify the root cause(s). Resultant poor relationships can be quickly and successfully rebuilt with an objective assessment of the issues and an even-handed approach to resolution. Contract re-letting review – is a rapid assessment tool for gauging real sourcing options for refreshing existing outsourced arrangements. This opportunity presents itself as contracts approach a breakpoint, or required termination actions. We provide brokerage services to our clients in specific areas such as go-to-market support and business introductions, asset purchase or disposal, deal structuring, data centre acquisition or sale or capacity fulfilment. Bespoke Technology Services – Burnt Oak experts work with solution and service providers, clients and investors to provide a wide range of unique services. Current and recent engagements span from the sale of a green data centre to revolutionary IT management automation, procurement management and reporting, virtual call centre services, advanced print solutions and more. In all cases we are “catalytic” in that we introduce proven but leading edge solutions providing stepwise change. Deal structuring – Burnt Oak experts have considerable risk management, funding and M&A experience and, depending on the case and market conditions can contribute effectively to the success of a given strategy. While many will claim similar skills Burnt Oak professionals have a deep level of actual, on the ground, experience spanning many years. Asset acquisition and disposal – Our deep experience in advisory services combined with our corporate finance and M&A background allows us to provide a unique perspective to many situations in which traditional firms do not have the interest or desire to plunge. We have always seen outsourcing as a very powerful instance of M&A and can therefore add a very high level of reality and “executability” to complex situations and not just in Europe. 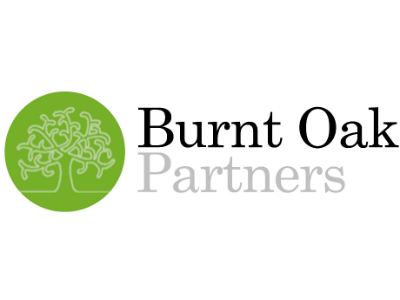 The executives of Burnt Oak Partners have many years of solid experience in developing and delivering large scale outsourcing and transformation programmes. Through a number of different coaching and training initiatives we aim to pass on our knowledge and experience of complex, multi-functional transactions, which are often fraught with uncertainty and failure if not well understood and carefully managed. The necessary skills and knowledge to manage, and to keep on track, complex outsourcing contracts and relationships is an evolving and highly specialised management competence. Sourcing Skills Assessment is a rapid and practical appraisal and expert knowledge transfer service vital in developing this new hybrid management skill enabling enterprises that are moving from operational to administrative or relational environments. Training is delivered in two distinct course formats, tailored for either the buy-side or the sell-side of services transactions. Burnt Oak Partners is a patron of and also teaches on the Master of Information Leadership course at City of London University. The course is led by City’s Centre for Information Leadership in conjunction with the City Law School, School of Informatics, School of Arts, School of Social Sciences, and the Cass Business School. The Master of Information Leadership supports your progression from a mid-career information professional to a leadership role. The course will equip participants to undertake executive information roles including CIO, CTO, Business Change Director and Knowledge Director. The MIL is built from the ground up to address these aspirations: information leaders are involved in the design and teaching of the MIL. Burnt Oak Partners goes beyond the provision of data, understanding that once out of context and normalised to fit a purpose, the value is all but lost to the client and the business. Embedded in all engagements, and offered as a stand-alone facility to share what you need to know, Burnt Oak Partners Information services operates in conjunction with leading industry analysts and educational facilities to ensure a legacy of wisdom that is more than the benefit of experience. We are accustomed to work with fixed fees and risk-reward models.